Cancer immunotherapy is an area of great promise for mesothelioma patients and many more of the millions of people diagnosed with cancer every year. The most powerful disease-fighter we have is our own immune system. By harnessing this power, cancer immunotherapy drugs offer hope even for rare and incurable cancers such as mesothelioma. Even better, these therapies promise to deliver results without some of the unpleasant side effects of traditional chemotherapy. So far, cancer immunotherapy has delivered mixed results. There are some astounding success stories, including one mesothelioma patient who is, according to her doctors, in remission thanks to Keytruda. Other patients have had less stellar results, and some find immunotherapy drugs harder to tolerate than chemotherapy. Stand Up to Cancer (SU2C), a nonprofit that raises money for research to speed the development of new cancer treatments, recently awarded research grants to scientists who are tackling the big questions about cancer immunotherapy. These researchers will bring the power of big data to analyze the data on cancer immunotherapy and, it is hoped, point the way toward using this promising therapy more successfully in the future. In May of 2017, SU2C put out a call for projects as part of its Convergence 2.0 program. Convergence 2.0 offered millions in funding for research that brings together life sciences, physical sciences, and engineering to take a fresh approach to finding better cancer treatments and cures. In January 2018, SU2C announced awards of $11 million to the winning studies. Microsoft will work with the research teams to provide help with machine learning. Machine learning is the process by which supercomputers not only study data but learn from it and subsequently adjust their approach accordingly. This will allow the scientists to use big datasets from other scientific studies and clinical trials. They can analyze the results in detail to figure out which factors are most important for the success of cancer immunotherapy and why cancer immunotherapy drugs work for certain patients and not for others. At the current time, doctors prescribe cancer immunotherapy like a machinist who uses a precision tool while blindfolded. If he can slot the tool into the exact right part, he can use it effectively. Because he can only feel and not see, he’s less likely to find the spot where the tool fits perfectly. He knows it’s a great tool, but he doesn’t have all the information he needs to use it properly. The beauty of cancer immunotherapy treatments is that they are very specific. They home in on and block specific mechanisms that cancer cells depend on for survival. The problem is that not all cancerous tumors use the same mechanisms. Traditional oncology treats patients based on what type of cancer they have. Pleural mesothelioma patients get surgery and radiation or chemotherapy. Peritoneal mesothelioma patients often get a specialized type of heated chemotherapy called HIPEC. Cancer immunotherapy treatments don’t necessarily relate to the cancer type, however. They are specific to the mechanisms that an individual tumor uses to grow and evade the immune system. A mesothelioma patient might have a tumor that uses the same mechanism as someone with non-small cell lung cancer or ovarian cancer or melanoma. Doctors are skilled at diagnosing cancer by type; they can tell you that you have lung cancer or breast cancer or leukemia. Science has not yet developed simple, accessible tests to determine the mechanisms used by the cancer cells in your tumor. The Convergence 2.0 initiative hopes to move research on cancer immunotherapy forward by which identifying factors lead to successful and unsuccessful immunotherapy treatments, so cancer patients can receive the best targeted therapy. Stand Up to Cancer awarded research grants to seven projects that will study a variety of factors affecting cancer immunotherapy. While none of the studies specifically addresses mesothelioma, many of them could have a big impact on mesothelioma treatment at some point in the future. Pancreatic cancer has a survival rate that isn’t much higher than mesothelioma. A group from the Icahn School of Medicine at Mount Sinai Hospital and Memorial Sloan Kettering cancer Center will continue a study that they have already begun on a set of patients who are long-term survivors with pancreatic cancer. Specifically, this team is studying high-quality protein tags on cancer cells that help the immune system recognize them as harmful intruders. They are looking at the interaction between the immune system and the body’s microbiome (gut bacteria). Their goal is to develop a vaccine for pancreatic cancers. Two teams from Yale University were awarded Convergence 2.0 funding. The first will look at what causes some patients to have adverse reactions to cancer immunotherapy treatment. Some patients develop symptoms similar to autoimmune diseases, where an overactive immune system attacks the patient’s healthy tissue. The researchers will focus at the molecular level to determine the characteristics in patients who respond well to CAR T-cell therapy and those who don’t. CAR T-cells are immune system cells grafted with a synthetic element that helps them recognize and kill cancer cells. The second Yale group will study whether the number of DNA mutations in tumor cells determines the effectiveness of anti-PD1 or checkpoint blocker cancer immunotherapy. They will use data to sequence the gene mutations for patients with endometrial cancer enrolled in clinical trial of Keytruda. A study at the University of Pennsylvania will look at the same problem of cancer cell DNA mutations and the body’s failure to repair them from a different perspective. 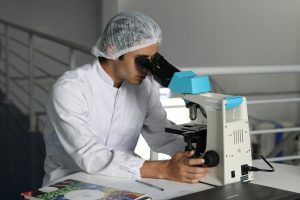 They will conduct clinical trials to study what elements of a tumor make it more or less likely for checkpoint inhibitors to work and the effect of a patient’s pre-treatment immune system capacity on their response to cancer immunotherapy. A research team from the Dana-Farber Cancer Institute will study why some of the body’s natural killer cells are more attuned to cancer cells than others. Natural killer cells are part of our innate immune system (the one we are born with) and they are powerful anti-cancer fighters. Researchers from Stanford will use data on 450 adults who received flu shots to examine the relationship between the immune response to vaccination and the likelihood of getting cancer. They believe that people whose immune systems develop better immunity from vaccines have a lower cancer risk than those whose immune response is less strong. An MIT study will pull together data from a variety of studies and use artificial intelligence to see if they can come up with characteristics of patients who are more or less likely to be helped by a particular cancer immunotherapy treatment.